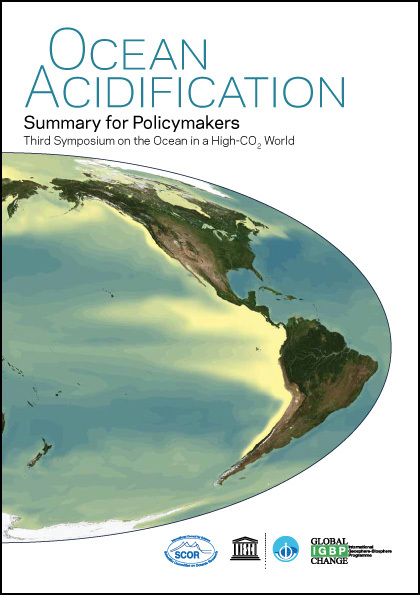 This summary for policymakers reports on the state of scientific knowledge on ocean acidification, based on the latest research presented at The Third Symposium on the Ocean in a High-CO2 World, held in Monterey, California, in September 2012. Experts present the projected changes from ocean acidification for ecosystems and the people who rely on them, according to levels of confidence for these outcomes. International Geosphere-Biosphere Programme, 14 November 2013. Publication.